It's been a while since I posted any Digimon papercraft. 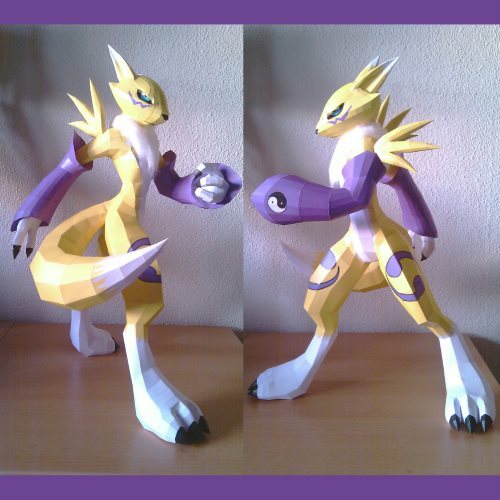 Here's a good one: a Renamon paper model created in 2011 by DeviantART member Destro2k. Renamon is a rookie level Digimon who digivolves to Kyubimon then Taomon and finally Sakuyamon. Pepakura PDO and PDF templates for the model may be downloaded here. The fur around Renamon's neck is made out of cotton.